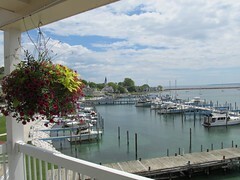 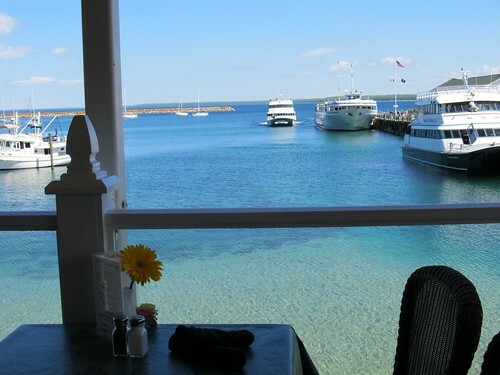 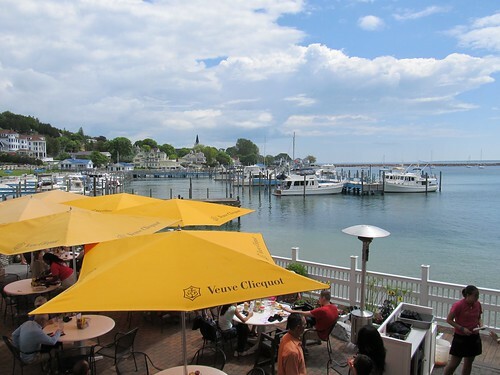 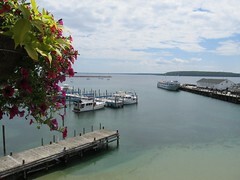 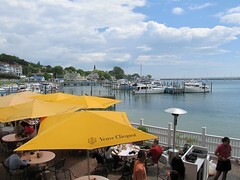 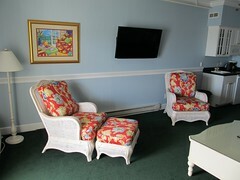 The lake view suites at the Chippewa Hotel offer guests a front row seat to all the comings and goings in the waters around Mackinac Island (see photo above, left). You can watch the ferries arrive and depart from the harbor below or keep track of freighters passing through the Straits of Mackinac in the distance. 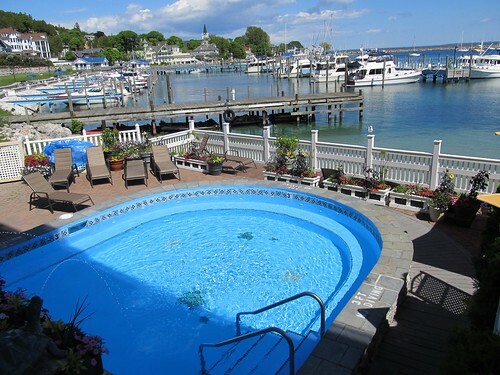 Catch the play of color in the sky and in the water at sunrise and during sunsets. 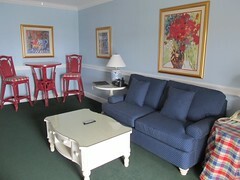 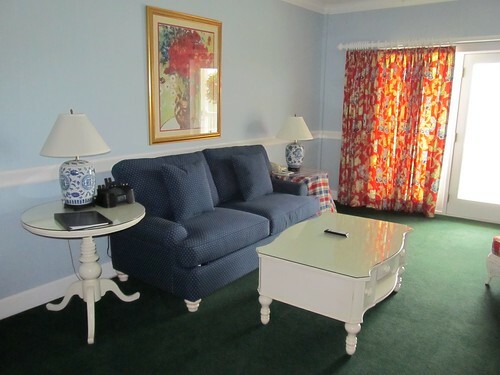 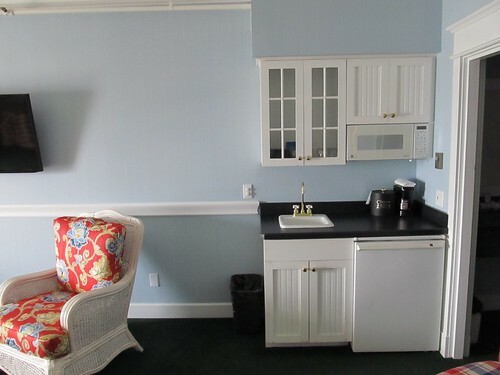 Whether you are sitting in the living room of your suite or on your private balcony, you’ll have one of the best seats in the house to the progress of the day on Mackinac Island. 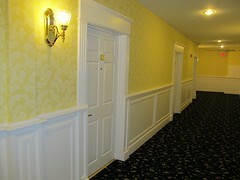 Inside Tip: The most popular suites at the Chippewa Hotel are the corner suites on the third and fourth floor. 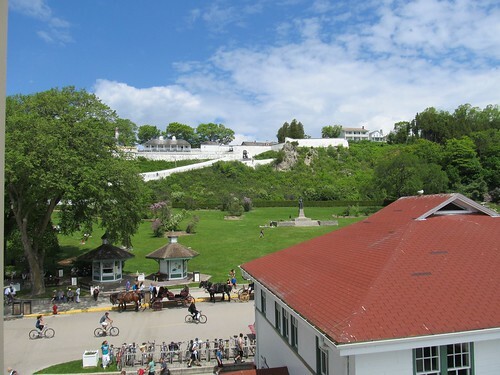 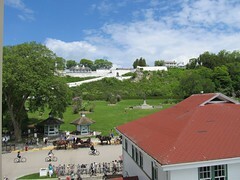 Located on the east side of the hotel, the corner suites have two extra windows with views of Marquette Park and Fort Mackinac (see photo above, right). 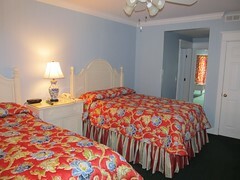 For more information on all of the rooms at the Chippewa Hotel please visit the room and rates page on their website. 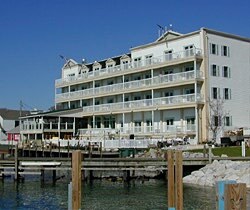 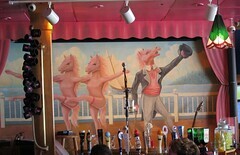 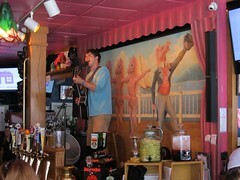 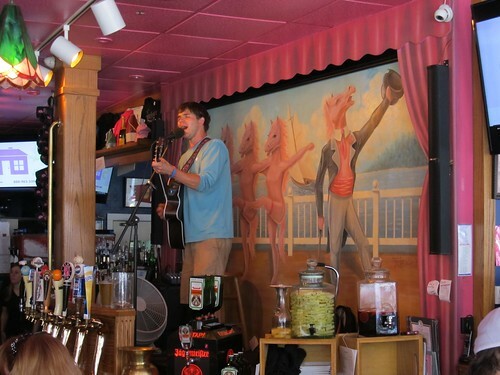 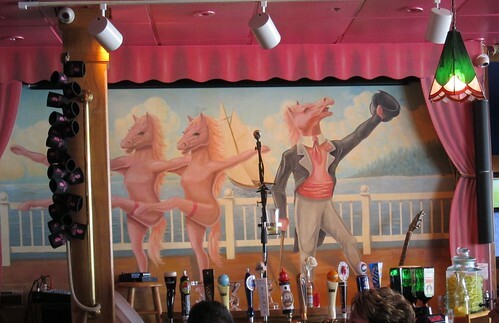 The Chippewa Hotel Page on Travel Advisor is also a good resource to research your stay at the Chippewa Hotel.